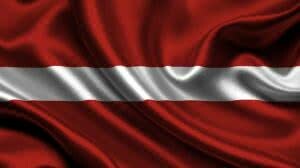 Company registration in Latvia offers an attractive tax regime and the opportunity to open a bank account. Remote bank account opening is possible. What documents will you receive upon company registration? Corporate documents package, certified by the Register of Enterprises, must be paid for in addition. What do you need to form a company in Latvia? Latvian companies have a corporate tax rate of 15% on worldwide income. The average number of employees at the company during the reporting year was over 50. A company with a share capital of €1 must reserve at least 25% of its profits annually.